Linda Talbot is an experienced litigator who has represented individuals, small businesses, companies, and corporations in a broad range of civil litigation, including personal injury, commercial litigation, construction litigation, medical malpractice and insurance defense cases. She has extensive trial experience from her seven years as a municipal prosecutor where she tried numerous jury and bench trials. Her civil trials have involved personal injury, contract claims, medical malpractice, deceptive trade practices, property damage, theft and conversion. 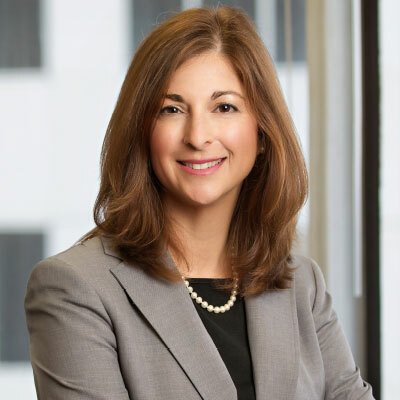 Linda has also represented businesses in prosecution and defense involving breach of contract, enforcement of agreements, fraud, breach of fiduciary duty and related issues. Litigation involving automobile and trucking accidents, premises liability claims, construction accidents, medical malpractice and other work injuries. Litigation of contract claims, construction defect claims, business disputes and fraud claims. Represented and advised companies in employment contracts, Fair Labor Standards Act, discrimination and EEOC claims.